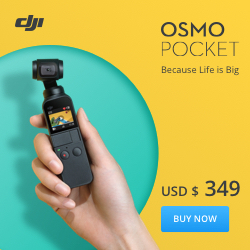 Great news for current and future DJI Osmo Pocket users. We have just gotten word that future updates to the Osmo Pocket will entail many “Pro” features currently only available when using the Osmo Pocket with a smartphone. With this leaked firmware you will have access to these pro features on the standalone Osmo Pocket. Let’s dive in! The leak appears to come from a beta-tester or an acquaintance of a beta-tester. We shall call him Mauro. Mauro posted on a private forum that the following features are coming in a future OTA (Over the Air) update to the Osmo Pocket. The features are included in current Beta versions which are sent out to testers before a public release. We aren’t sure where they got their hands on it, but the cat is out of the bag now. Along with a few images Mauro mentioned that settings such as D Cinelike, White Balance, Shutter Speed, and Volume Control will be adjustable straight from the Osmo Pocket. Currently to access some of these settings you have to have your Osmo Pocket attached to a smartphone. 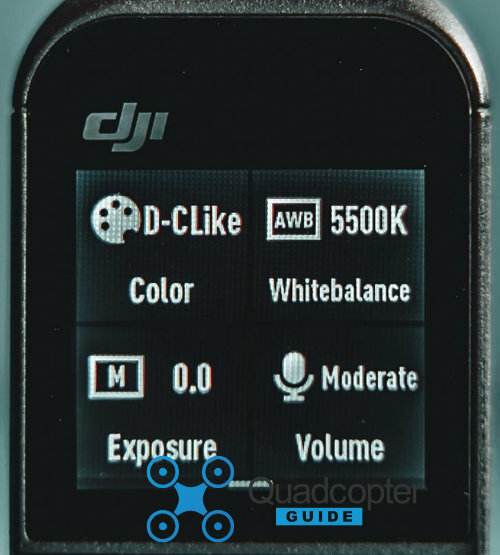 Settings such as D-Cinelike aren’t available currently even with a Smartphone attached, so great news for those wanting a more flat color profile. Furthermore, you will be able to switch between AFC and AFS focus modes. This will help with the hunting of focus which you can get in certain lighting and contrast scenarios. 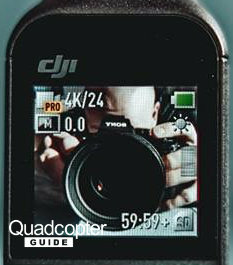 In the following image you can see the little PRO icon in the top left corner of the image, noting that the pro mode will be available on the Osmo Pocket alone. Here above you can also see that the metering mode is in manual-mode set to 0.0 EV. White Balance is set to sunny and over an hour of record time is available at the current 4K24 fps. 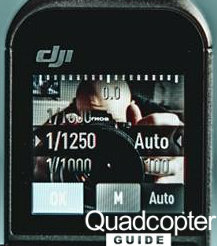 In the next image you can see the settings to change the Shutter Speed and ISO. At the top you can also see an overlay of an EV indicator. Changing the settings from Auto will cause a notch to display based on if your settings are below or above 0 EV. If you’d like to stay up to date with all the latest drone/gimbal news, rumors, and reviews, then follow us on YouTube, Twitter, Facebook, Instagram or sign up for our email newsletter. 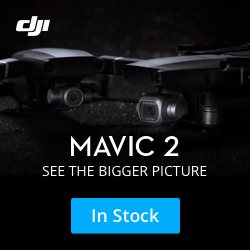 Purchase your next drone directly from DJI or retailers like Amazon, B&H, BestBuy or eBay. By using our links, we will make a small commission, at no cost to you. 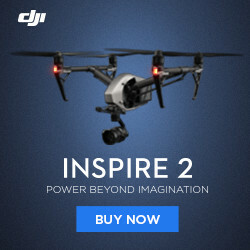 Thank you for helping QuadcopterGuide grow!